Learn more about our local efforts to prevent pollution and protect public health in the Greater Houston region! 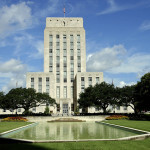 As the fourth largest city in the country and a global leader in energy and business, Houston has enormous potential to set a positive example for other cities in environmental policy. Recycling has been one issue at the heart of Houston’s environmental programs and our focus at TCE, since recycling is not just good for the environment – it is powerful for economic development as well. 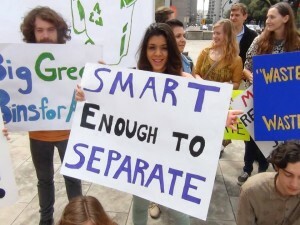 Texas Campaign for the Environment and our allies in the Zero Waste Houston coalition rallied to expand curbside recycling to all neighborhoods serviced by the Solid Waste Management Department, and we won! 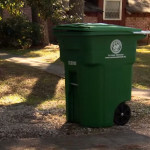 Houston expanded single-stream recycling to every neighborhood in 2015, so that residents can put all of their recyclable items into the big, green bin separate from trash. 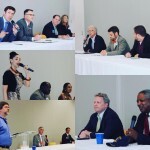 In 2016, Houstonians rallied to keep curbside recycling from being suspended altogether, and the community won on that front as well, with the exception of glass, which was excluded in the short-term contract the City signed with Waste Management. However in 2017 and 2018, TCE mobilized pressure on the City Council to make sure that the new long-term contract included glass in curbside recycling once again. After pressing for more transparency, the City Council approved a contract with FCC in January 2018 – with a saving of $11 million over its earlier bid. There are still many more steps to go. About half of all residents live in apartments and have limited access to recycling. Food and organic waste also accounts for a third of what we throw in landfills, where it becomes responsible for 18% of methane greenhouse gas emissions nationwide. Illegal dumping affects many neighborhoods with blight, but city enforcers cannot keep up with violators. To address the waste problem at its source, cities like Los Angeles, New York, San Antonio, San Marcos, Austin and Dallas have also passed long-term solid waste policies to reduce trash going to landfills and incinerators by 60%-90%, creating thousands of jobs in the process. Zero Waste cities advocate for better product and packaging design by reducing single-use bags and partnering with manufacturers to recycle hazardous products such as e-waste. These programs are part of what the U.S. Environmental Protection Agency (EPA) calls “sustainable materials management,” a path toward a circular economy that conserves natural resources with products that are healthy for people and the planet. 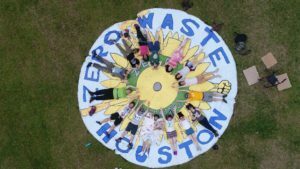 Like and follow the Zero Waste Houston Facebook page and get more involved with Zero Waste in our community. Houston Press: Yeah, that’s right, leave it to an eight-year-old to make collecting roughly one-fifth of the city’s recycling tonnage his responsibility. Houston Chronicle Op-Ed: The current call to eliminate curbside recycling in Houston confirms the need to commit to long-term recycling goals. Disasters like Hurricane Harvey pose a serious environmental and public health risk: they can wash pollution from contaminated sites into our homes and waterways. We cannot wait for the next flood—we need action to clean up these sites NOW. Take action today! 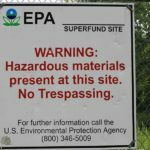 The Houston region is covered with hundreds of toxic sites known as Superfund sites, brownfield sites, and many others that are managed under state and federal programs. These sites are often hazardous waste dumps, chemical storage sites, and industrial facilities that have been abandoned or shut down and are no longer in use, although contamination from the sites’ previous use is still present. These sites often contain toxic chemicals that are known to cause health problems–including carcinogens like benzene, toluene and dioxin. The risk of human exposure to these pollutants is increased by how close these sites are to floodplains. There are 327 of the nations’ most toxic sites, known as Superfund sites, located in floodplains, greatly increasing the chance that when flooded, pollution from these sites will be spread. 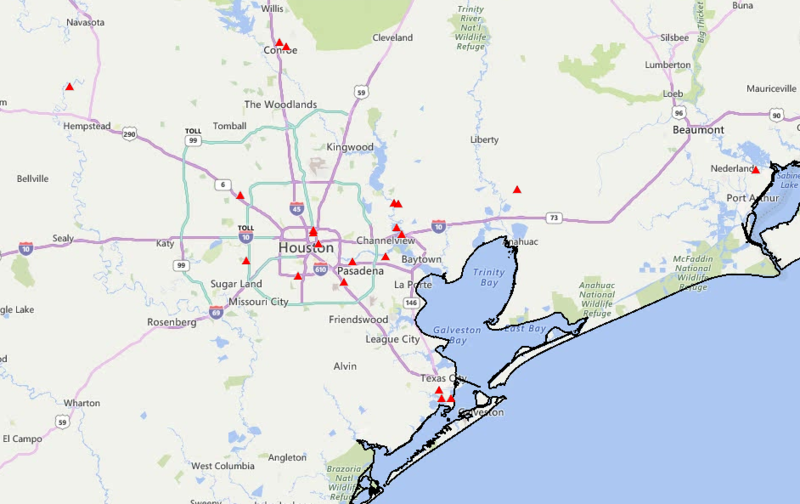 In the Houston region, a study by Texas A&M after Harvey found that toxic sites in Harris County are on average a mere 44 feet from a floodplain. Flooding can also cause temporary solutions to contain the pollution to fail–like the cap on the San Jacinto River Waste Pits Superfund site during Harvey–causing waste to spread more easily. Residents and rescue workers come in contact with contaminated waters during evacuations and later contaminated sediment is deposited in yards and even inside homes. Recovery planning from Harvey presents an opportunity to rebuild in a way that protects communities, public health, and the environment. We must enact long-term solutions to clean up these sites and secure reuse purposes for them that mitigate both health hazards and flooding–now is the time for action. 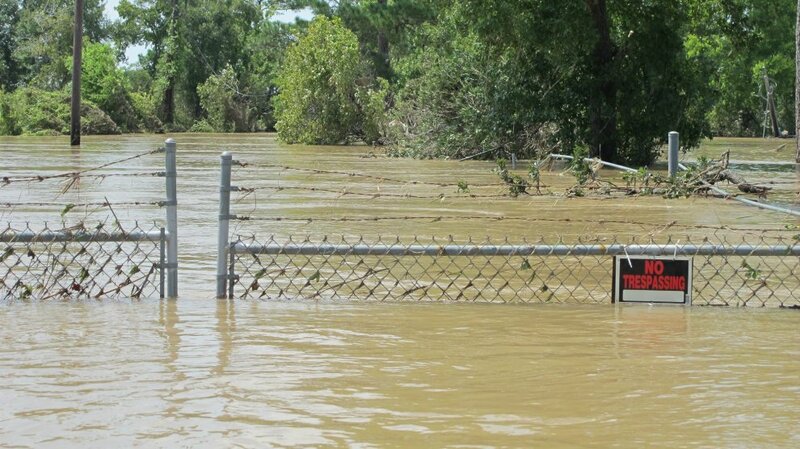 Tell your lawmakers to protect public health by cleaning up toxic sites in floodplains! We are also working to raise Texas pollution standards for cleaning up toxic sites at the Texas Legislature and with the state environmental agency, the Texas Commission on Environmental Quality. Even before Hurricane Harvey hit the Texas coast, we have been working to protect communities from the legacy of toxic polluting facilities. For decades, a Superfund site known as the San Jacinto River Waste Pits has been plaguing Houston and the Galveston Bay area with the presence of toxic waste located in the San Jacinto River. This waste, produced by a paper company in the 1960’s, has contaminated our water, soil, and marine life with chemicals, including dioxin, one of the most toxic to humans. 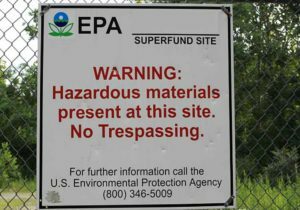 Under the Superfund law, the US Environmental Protection Agency can compel the polluters responsible for toxic waste sites to clean them up– in this case, International Paper and McGinnes Industrial Maintenance Corporation, a subsidiary of Waste Management. For the past several years, community and environmental organizations have been fighting to get the site fully cleaned up and the toxic waste properly removed. The EPA made a preliminary cleanup recommendation for full removal of the waste in the fall of 2016. During Hurricane Harvey, the Waste Pits were one of 13 Superfund sites affected by Harvey and were flooded under several feet of water. The EPA sent a dive team and used topographic mapping to survey the damage to the pits underwater, and recently made repairs to the temporary cap. Sampling performed at the site showed levels of cancer-causing dioxin to be higher than initially recorded at over 2,300 times the EPA limit. Additionally, the EPA stated that the riverbottom near the waste pits partially eroded, which caused the pits to be unstable. Due to relentless public pressure and effective community organizing, the Waste Pits’ progress to being fully cleaned up has moved swiftly. On October 11, 2017, EPA Administrator Scott Pruitt signed the long-awaited “Record of Decision” to order full removal of the waste pits as the best clean up plan. On April 9, 2018, the EPA announced that the agency and the responsible polluters have agreed upon a remedial design which includes installing engineering controls before excavating approximately 212,000 cubic yards of dioxin contaminated material for disposal. At first opposed by the polluters, now full removal of the waste pits has been agreed to by all parties involved. Red triangles above represent sites on the Superfund National Priorities List for clean-up. 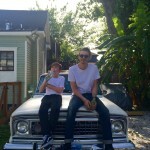 Click the photo and scroll down for descriptions. Contact your local officials and tell them we need to clean up toxic waste sites before another major flood like Harvey!